Main Title: Pride & prejudice [videorecording] [DVD] / Universal Features presents in assocation with Studiocanal a Working Title production ; produced by Tim Bevan, Eric Fellner, Paul Webster ; screenplay by Deborah Moggach ; directed by Joe Wright. Published/Created: [London?] : Universal Pictures (UK), c2005. Cast: Simon Woods, Keira Knightley, Matthew Macfadyen, Brenda Blethyn, Donald Sutherland, Tom Hollander, Rosamund Pike, Jena Malone, Judi Dench. Credits: director of photography, Roman Osin ; art directors, Nick Gottschalk, Mark Swain ; editor, Paul Tothill ; music, Dario Marianelli ; costume designer, Jacqueline Durran ; production designer, Sarah Greenwood. Summary: Mr. Bennet is an English gentleman living in Hartfordshire with his overbearing wife and 5 daughters. There is the beautiful Jane, the clever Elizabeth, the bookish Mary, the immature Kitty and the wild Lydia. Unfortunately, if Mr. Bennet dies their house will be inherited by a distant cousin whom they have never met. The family's future happiness and security is dependent on the daughters making good marriages. Life is uneventful until the arrival in the neighbourhood of the rich gentleman Mr. Bingley, who rents a large house so he can spend the summer in the country. 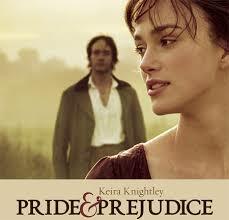 Mr Bingley brings with him his sister and the dashing, rich, but proud Mr. Darcy. Love soon buds for one of the Bennet sisters, while another sister may have jumped to a hasty prejudgment. For the Bennet sisters many trials and tribulations stand between them and their happiness. Subject: Sisters -- England -- Drama. Subject: Dependents -- England -- Drama. Subject: Marriage customs and rites -- England -- Drama. Subject: England -- Social life and custom -- 19th century -- Drama. Subject: Social classes -- Drama. Subject: Young women -- Drama. Subject: I. Austen, Jane, 1775-1817. Pride & prejudice. 2 video discs in 1 can (VCD) (ca. 127 min.) : sd., col. ; 4 3/4 in.